Eddie is a photographer, designer, writer, editor, bookmaker, mentor, workshop leader – basically the ideal guest for this podcast! Eddie got interested in photography while at University, photographing and writing for a student magazine. After moving to London in 1984 he signed up for a photojournalism course at the London College of Printing (now called the London College of Contemporary Arts) and began mastering the art of black and white printing. Fast forward a few years and Eddie set up his own magazine entitled AG+ and was an early adopter of self-publishing, creating books and manuals about darkroom techniques. The British Journal of Photography bought AG+ magazine and Eddie went on to run workshops and teach at universities and colleges for Ilford and Kodak. He later worked as a commissioning editor and book designer for Argentum for several years, commissioning a wide variety of landscape and wildlife photo books. 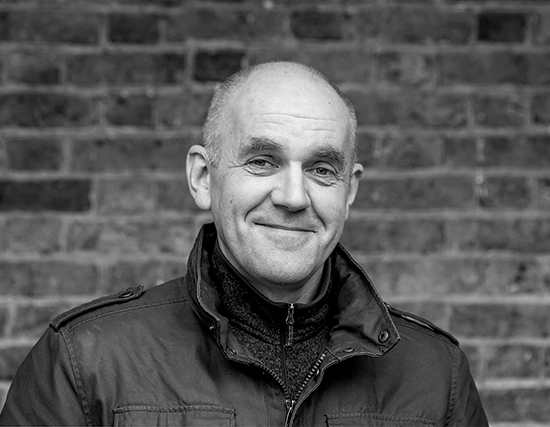 His experience in self-publishing, commissioning and design led him to photo book mentoring and short run book production and now helps many photographers with their ideas about creating books and exhibitions. Eddie is not one to sit still and is always looking for new and fresh ideas about projects and the way he works. I’ve learnt so much from spending time with Eddie, he is a great person to have a conversation with about all things to do with photography and bookmaking. I was really happy to get him on the podcast and hope you enjoy hearing what he has to say.